Ahem. Hello everyone. How do I break this to you? I’m just gonna come out and say it: Smalt is a Bluetooth-enabled smart saltshaker that boasts a color-changing mood light and speakers. That’s right — a smart saltshaker. The product site swears it’s a great conversation starter! In my experience, if you find yourself at a gathering asking about the saltshaker, it means the party’s over and it’s time to leave. 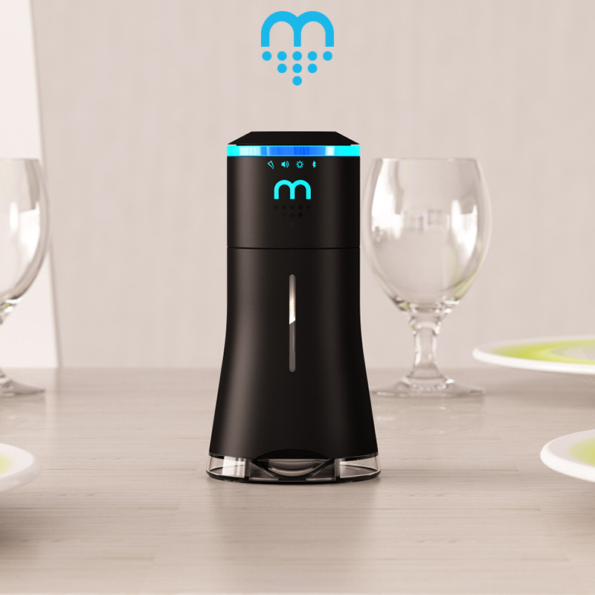 If you’re interested in buying a smart saltshaker for your home, Smalt is soon coming to Indiegogo. No word on how much it’s going for, but if you’re in the market for a smart shaltshaker, it probably doesn’t matter how much it costs.